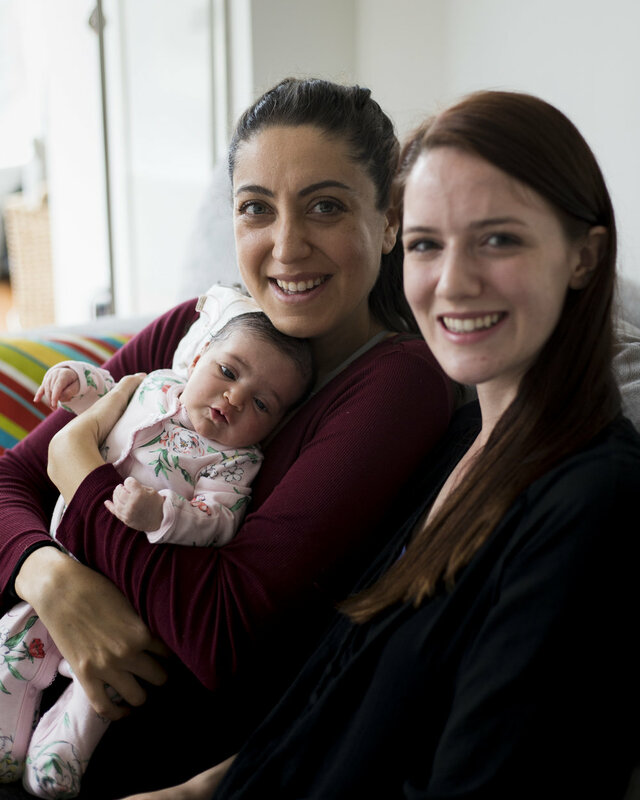 "When I met Leah I knew I wanted her as my doula. She was very kind, understanding, experienced and comforting so I decided to hire her. Leah taught me about several pain medication alternatives in the prenatal visit such as the TENS machine, yoga moves, acupressure techniques, relaxing oils, affirmation cards and much more. She was very supportive of my choice to have an epidural and to try for a VBAC. I was a foreigner in Toronto, my husband wasn't in Canada, so Leah was my only support during my 20 hour labour. I can't possibly describe how she helped and made me feel good for those long hours. She literally didn't stop for a second. She applied acupressure massage which helped me dilate very fast from 6 cm to 10 cm - the doctors couldn't believe it! When I remember those moments, I can't imagine what I would have done without her. I believe she was an angel sent for me..."